This Real Butterfly Wing Ring is made with Underside of Perisama euriclea AKA Doubleday butterfly. Butterfly lived a full life and died naturally. Purchases help save rain forest and bitterly populations. 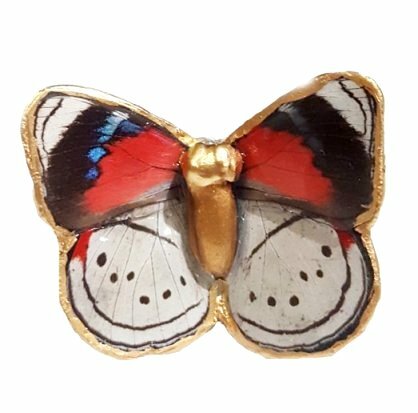 This real butterfly wing ring design is exclusive to The Blue Goddess Co. All of our real butterfly wings made into jewlery are handmade. We are the leading experts in real butterfly wing jewelry. We only use quality materials, to give you the highest quality of real butterfly wing jewelry on the market! Coated in resin for longevity.